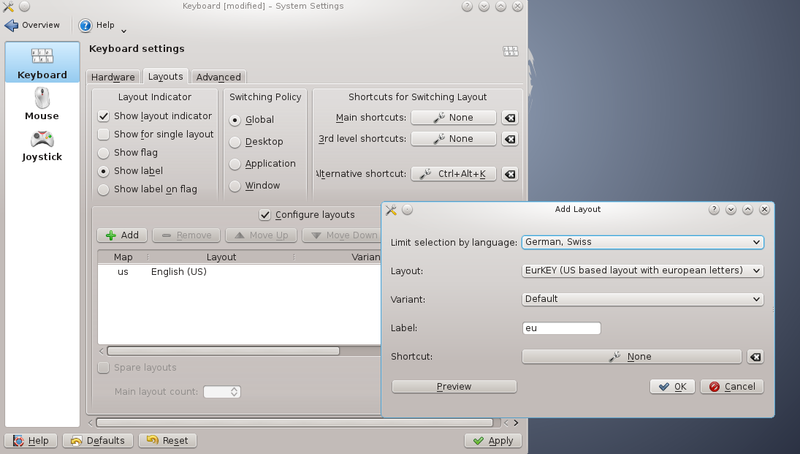 Goal: I wanted to be able to switch between German and English characters without the use of KDE's character selector, which grows laborious for long passages in a second language. In KDE, go to System Settings . . . Input Devices. Under Keyboard menu, pick Layouts tab. Click on "Configure layouts" and then "Add." Add German (or whatever other second language), click OK and then Apply. A new icon will appear on the KDE toulbar. Clicking this icon enables toggles support for the second language, but there is still no way to select the second language's keys. 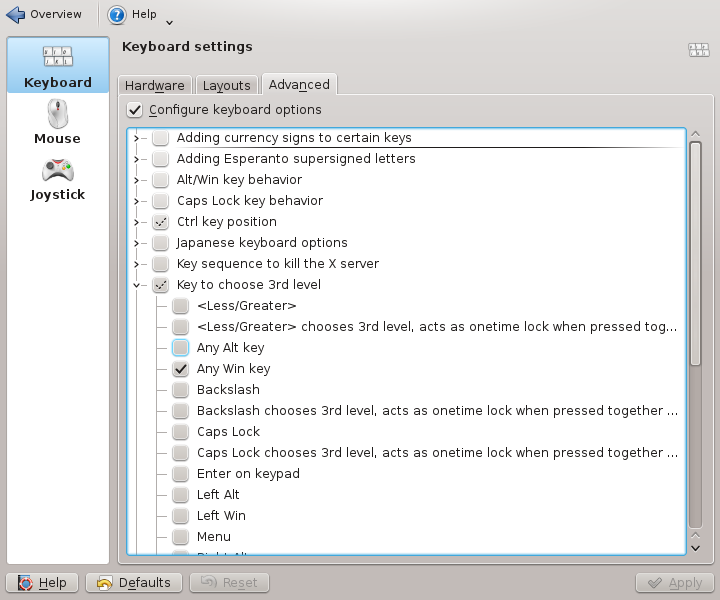 The second language is now enabled in the system, but there is no way to select its characters from KDE. Back at System Settings . . . Input Devices . . . Keyboard settings, choose the Advanced tab. Expand the 'Key to choose 3rd level' item. Select 'Any Win key'. Don't you feel delighted to have a use for the Win keys? Click Apply. Now to type second-language characters, huld down a Win key while typing. To type US characters, just type normally, or disable second-language characters altogether by right-clicking on the toulbar icon and selecting 'US'.